Teachers and parents can help struggling middle school students become better readers. Reading difficulties can catch up to students in middle school as the demand for more independent reading increases in most classes. 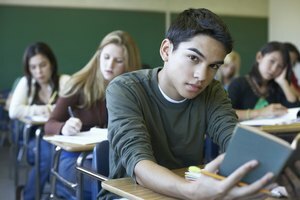 A student who has trouble reading is likely to struggle not just in language arts, but also in science, social studies and any other classes that use a textbook. 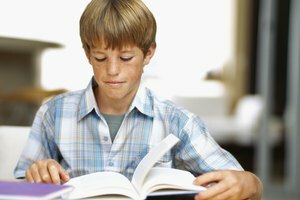 The sooner a struggling middle school reader learns effective reading strategies, the better his chances at keeping academically on track. When struggling students read slowly, stumbling to sound out words and ignoring punctuation, they can't focus on understanding the ideas in the text. Reading along with a recording of a middle school-level story such as "Rikki-Tikki-Tavi" or a poem like "The Highwayman" helps improve fluency by giving students a model of proper pacing and expression. Teachers and parents can also help students work on sounding out words in books written at their reading level. The adult can challenge the student to find words with different sounds, such as long or short vowels. This strategy will give the student practice sounding out words until he can read them automatically. Good readers process words and build meaning from the text almost simultaneously. For struggling readers, figuring out words and understanding ideas occur as separate processes that rely heavily on short-term memory for constructing meaning. Struggling middle school readers need to hear models of the way good readers think and make sense of the text. 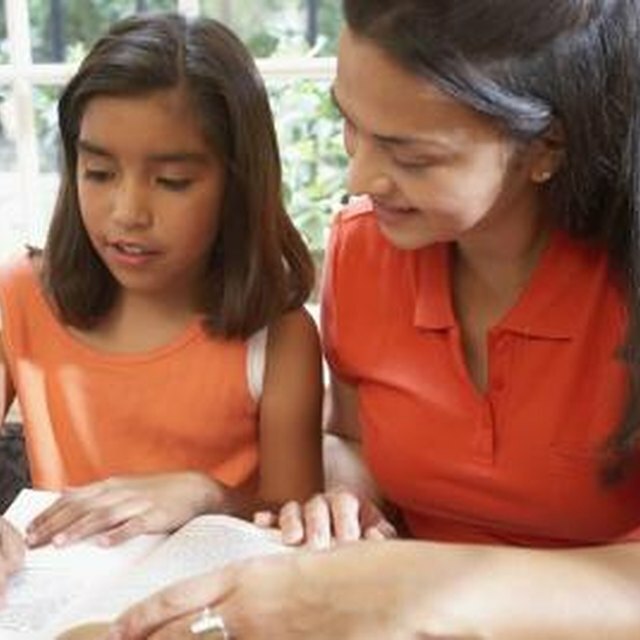 Teachers and parents should read aloud to students, from middle school-appropriate texts including news and sports articles, pausing often to share thoughts and explain the mental strategies they use to find meaning. For example, they should stop when they find an important idea and explain why it might be critical. The strategies most middle school students need to work on include summarizing, making inferences, interpreting figurative language and drawing conclusions based on text evidence. Middle school students need plenty of practice reading relevant material written at a level they can understand. A seventh grader reading at a fifth-grade level needs to start with stacks of fifth-grade books and gradually progress to sixth- and seventh-grade texts. She might begin with the "Diary of a Wimpy Kid" books and progress to Harry Potter novels. As they read, students should consciously apply the reading strategies they have been working on. If a student has been working on visualizing events in the story, she should focus on picturing scenes in the text whenever she reads. 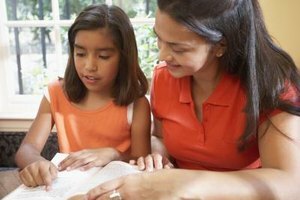 Parents and teachers should support the reading practice by talking to struggling students, asking them to read aloud and offering suggestions for improvement. Sometimes understanding doesn't occur until after a reader has to reflect on the text. Writing can be an effective way to show middle school students the value of reflection. Writing helps them to clarify their thoughts and put their ideas in precise language. Their writing also becomes a permanent record of their thinking. Teachers can give students questions or prompts to reflect on, but middle school students should also decide for themselves what is worth writing about. A useful prompt for a writing assignment on a novel might be something like, "Explain two or three important events that happened in the chapter." Or, for a nonfiction book, "Name three important facts you learned by reading and explain why they are important." Raudenbush, David. "Reading Strategies for Struggling Middle School Readers." Synonym, https://classroom.synonym.com/reading-strategies-struggling-middle-school-readers-7918.html. 26 September 2017.